This variety of goldenrod is kind of sneaky. 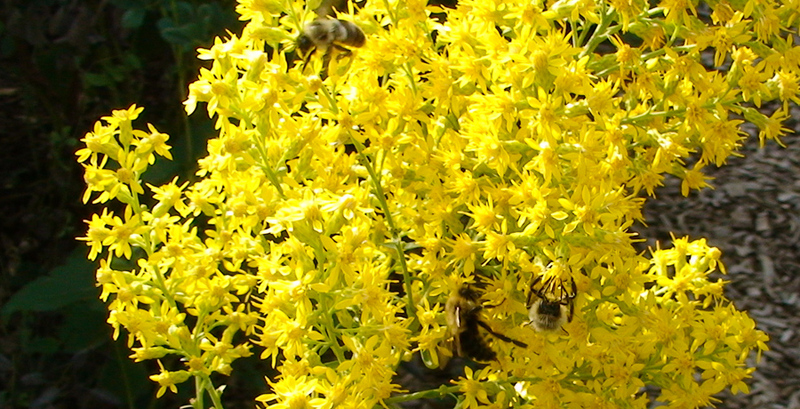 It doesn’t do much for most of the early part of the growing season, but towards the end of July and early August, these plants produce torchlights of yellow flowers that are like bumblebee magnets. 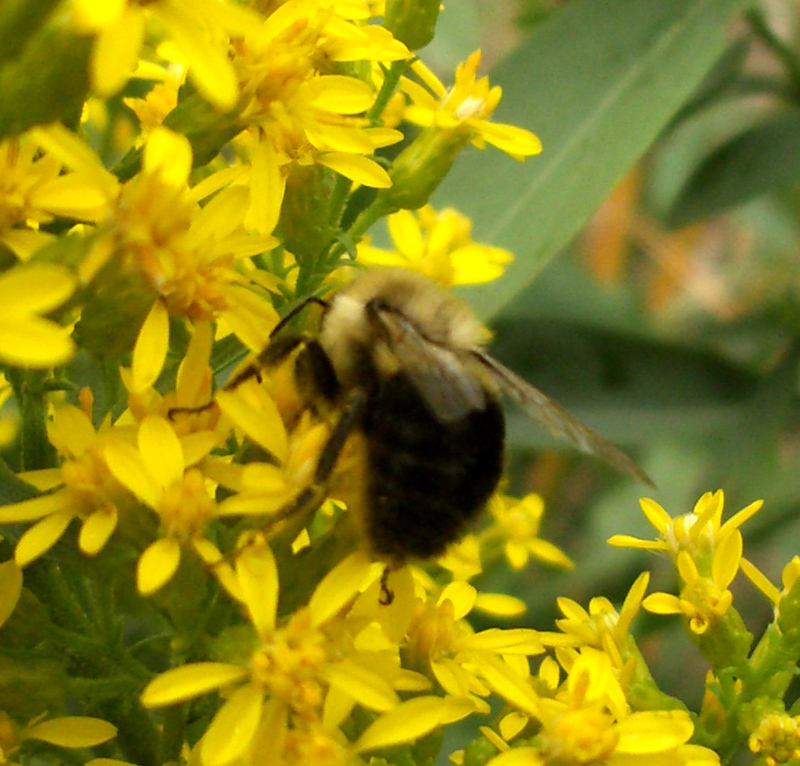 The non-invasive species of goldenrods are critical for any garden that aims to support native pollinators. 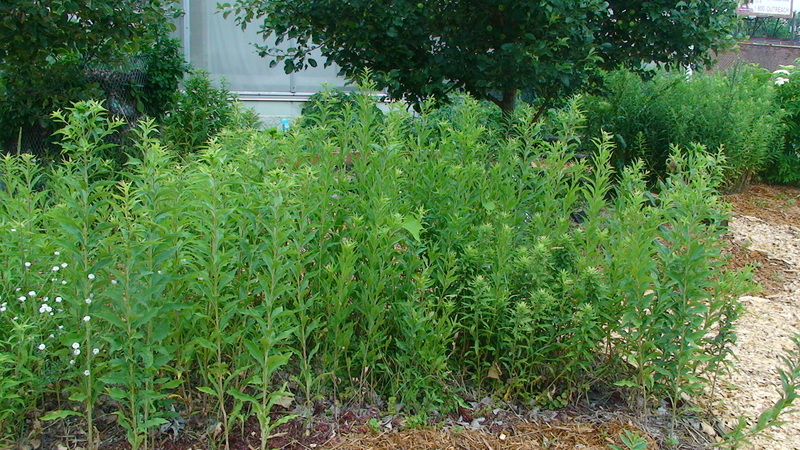 Before they bloom, goldenrods do not like to show off. 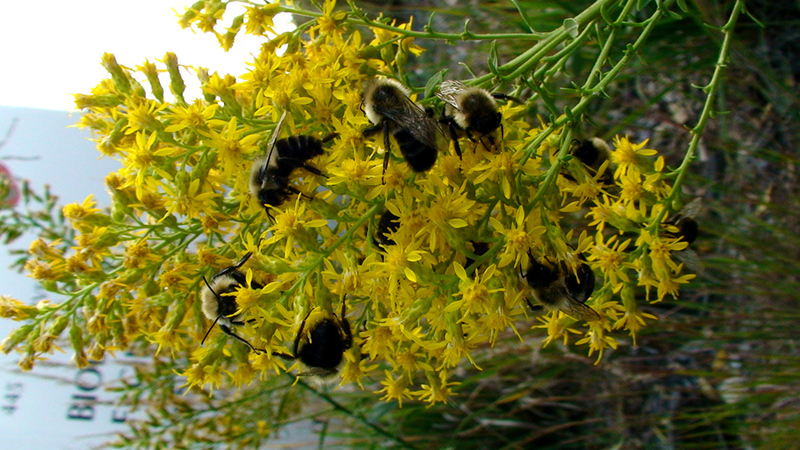 Bumblebees feasting on the late summer goldenrod manna.